Robert M. Gates, a Distinguished Eagle Scout and our nation’s 22nd secretary of defense, has been elected to the national executive board of the Boy Scouts of America. Gates will serve as a member of the executive committee and as the national president-elect. Gates’ appointment was made upon the recommendation of national volunteer and professional leaders, including the BSA national nominating committee. Following the National Council’s approval of Gates’ two-year term as the BSA national president beginning in May 2014, Randall Stephenson, chairman and chief executive officer of AT&T Inc., has agreed to serve as the president-elect of the BSA. Gates’ Scouting résumé is voluminous: Distinguished Eagle Scout, Vigil Honor member of the Order of the Arrow, former president of the National Eagle Scout Association, past National Executive Board member and Silver Buffalo Award recipient. When it comes to the Scouting movement, Gates gets it. Gates has a tremendous passion for Scouting but also a sense of humor when appropriate. In his 2010 jamboree speech, Gates described what happens when the director of the CIA goes camping with his Boy Scout troop. Last year, Gates indicated a willingness to re-engage with the BSA, and because of his leadership capabilities and his long history of participation and service in Scouting, the BSA had the opportunity to take advantage of a unique moment to bring on board a truly great leader in Gates. He is one of our nation’s most respected public servants and a proven leader of the highest caliber. 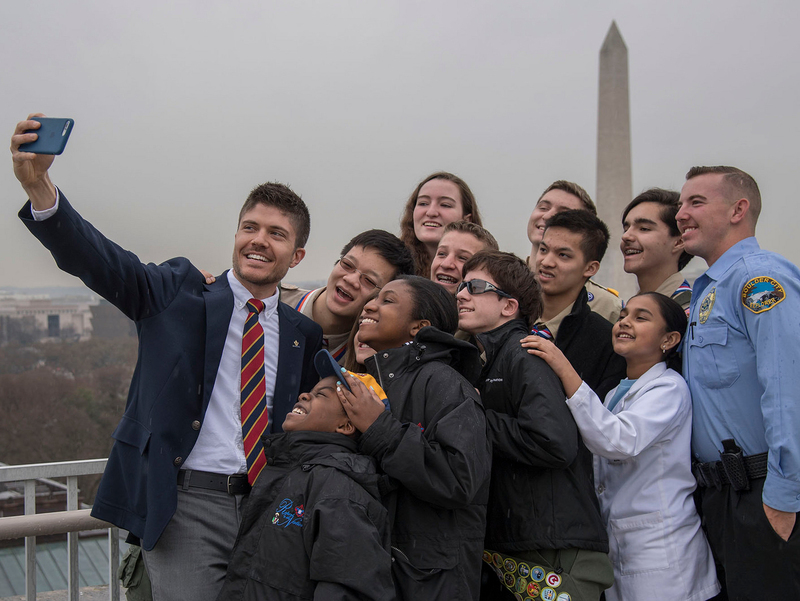 “I am honored to take on this role and look forward to working on behalf of the millions of youth and adult members who make Scouting what it is today — an organization providing life-changing opportunities to today’s youth,” Gates said. Watch an excerpt from his speech at the 2010 National Scout Jamboree after the jump.